The impressive Dakota is a full four feet deep, giving the birds more space. The gentle song of the birds can be heard through the breathing and sound ports on the upper half of the beveled corners. Oak finishes the bottom half of the beveled corners. 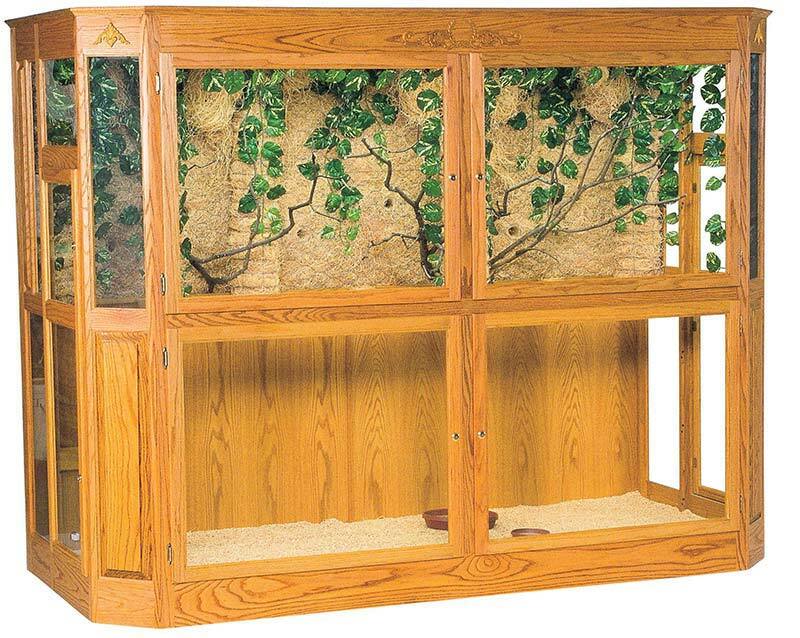 You won't need to step inside the aviary for weekly care with our aviaries. Front doors open allowing easy access ... plus shades pull down to provide a barrier so the birds stay inside. When not in use, the shades retract out of sight.